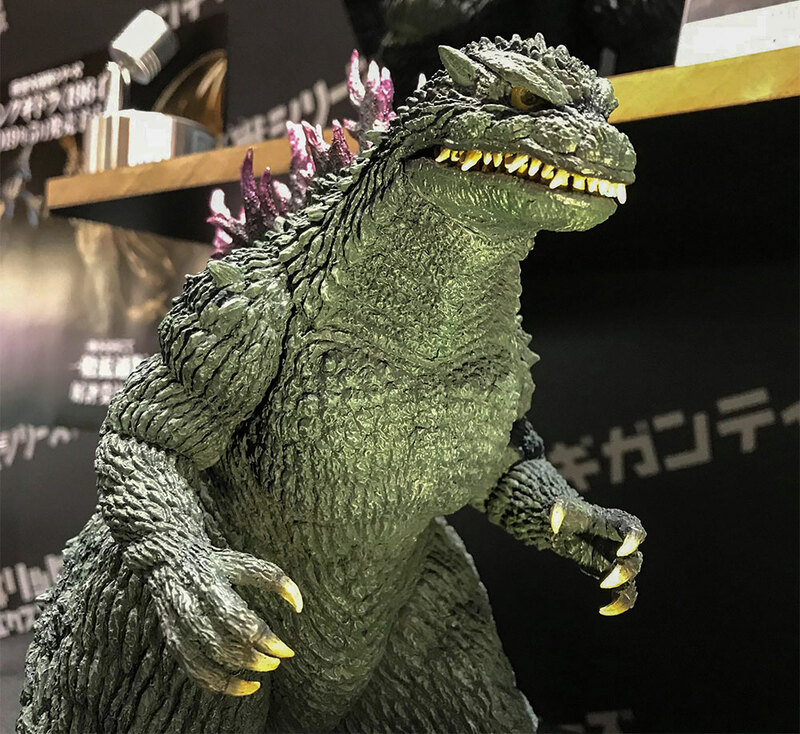 AN EARLY, UNPAINTED PROTOTYPE OF THE GIGANTIC SERIES GODZILLA 2019 BY X-PLUS ON DISPLAY AT WONDER FESTIVAL. 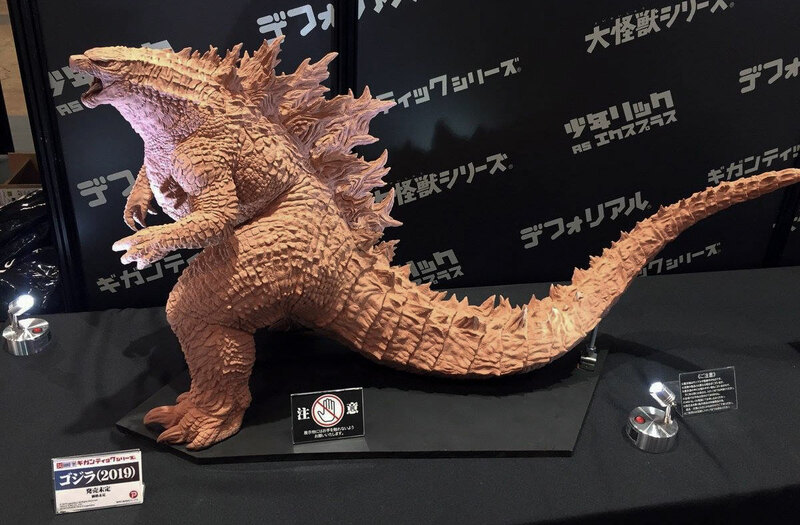 I suppose the really “big” news is that they displayed an early, unpainted Gigantic Series Godzilla 2019 prototype based on the upcoming Godzilla: King of the Monsters from Legendary on the way. And holy crap, this looks AWESOME! I’ve been feeling a little iffy on the last few Gigantic Series releases but this one is FREAKING AWESOME. Unfortunately, it’s still early so there is no price or release date on this guy yet. This is the King Ghidorah cyborg resurrected from the end of Godzilla vs. King Ghidorah (1991). Now, we’ve known this one was coming, but we never actually got to see a figure. But a prototype was on display today and, again, it looks FREAKING AWESOME! The prototype is still in an early stage lacking a paint sample and is even still pending approval from TOHO. But they’ll approve it… they always do. Stay tuned for information on price and release date. A fully painted Large Monster Series Godzilla 1999 based on Godzilla 2000: Millennium (1999) was on display and lookin’ pretty badass in a sculpt some say rival both of the 30cm Series versions. And we have a date for this one. You can expect this one to hits shelves in May 2019. Preorders could start as early as next month! 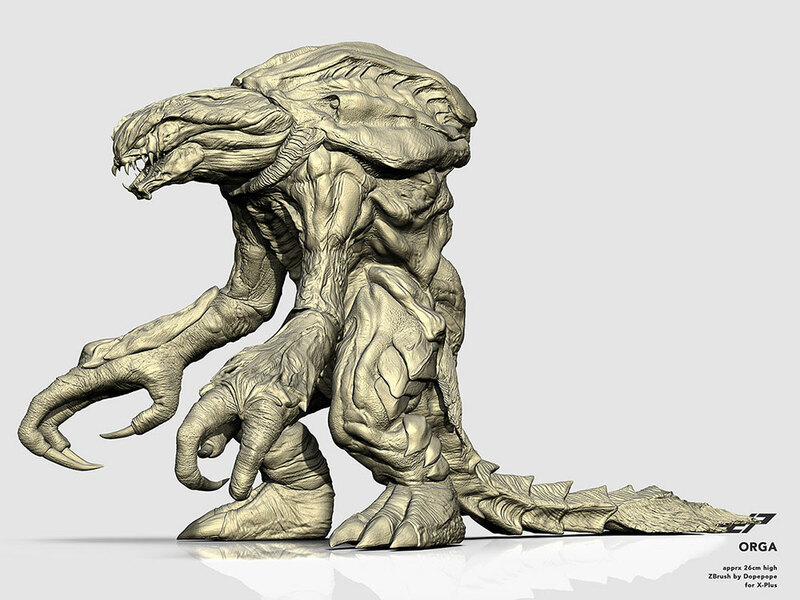 DIGITAL SCULPT OF THE LARGE MONSTER SERIES ORGA BY DOPEPOPE. Also from Godzilla 2000: Millennium, one of the figures collectors everywhere have been clamoring for, ORGA. There was no prototype available but a print from digital sculptor Dopepope was on display. 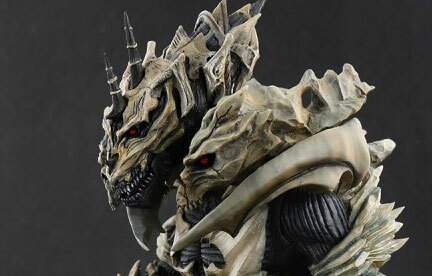 (This is the same sculptor who had worked on the upcoming Irys (Gamera 3). It’s far too early for any more information on this release. But the card on display indicates that the model is to be 26cm tall. This can, of course, change. So, sweet deal! This and the upcoming Godzilla 1999 vinyl will let you fully represent Godzilla 2000 on your shelves. And for the final reveal, we have the Large Monster Series Godzilla 1964. 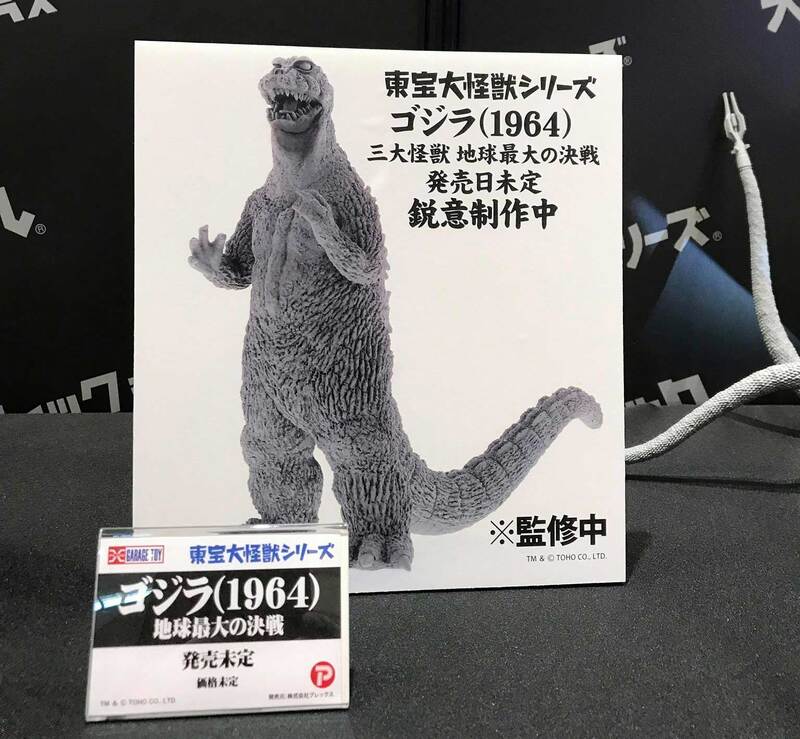 Now before you get all “But we already have a 25cm Godzilla 1964,” check this out. 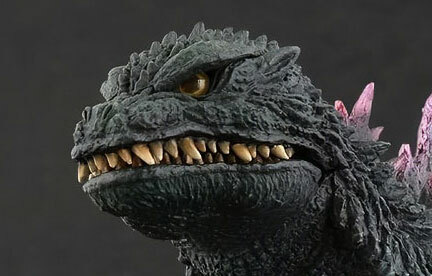 While the previously released figure was based on the suit as it appeared in Mothra vs. Godzilla (1964), this one is actually based on the suit from Ghidorah, The Three-Headed Monster (1964). (Must have been nice for folks back then to get TWO Godzilla movies in the same year!) No word on price or street date. 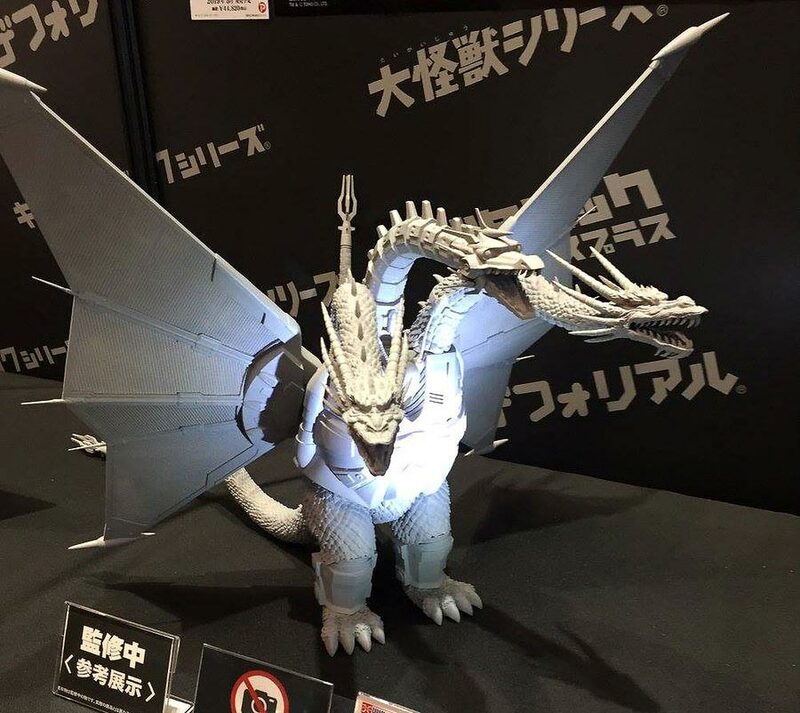 This new Godzilla vinyl can be combined with the upcoming Large Monster Series King Ghidorah 1964 (due out in May of this year) and the previously released Large Monster Series Rodan 1964 for a nearly complete Ghidorah, The Three-Headed Monster line-up in your collection. You’ll just have to use a Mothra Larva from either the Large Monster Series Total Advance Complimentary Set Vol. 1 (Manda and Mothra) or the Large Monster Series Mothra 1964 DX set as a stand-in. 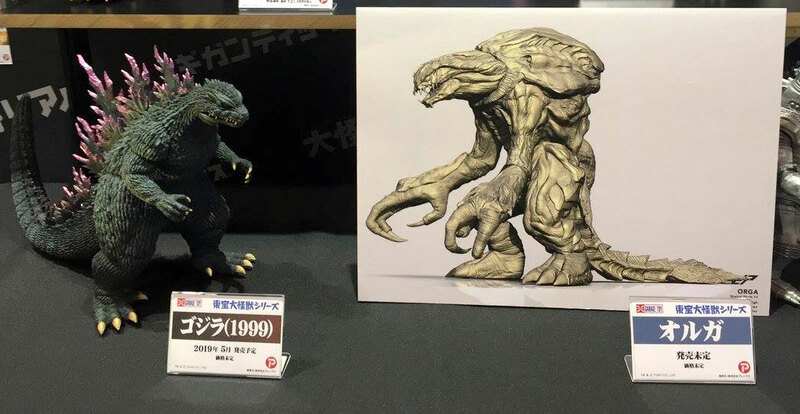 Finished prototypes of the upcoming 30cm Series Yuji Sakai Godzilla 2002 and Large Monster Series King Caesar (Light Version) were also shown at the X-Plus table. Both of these figures were reported on last week. Both can be pre-ordered now thru February 19. You may also have seen a Large Monster Series Mechagodzilla 1974 and Godzilla 1973 on the tables. 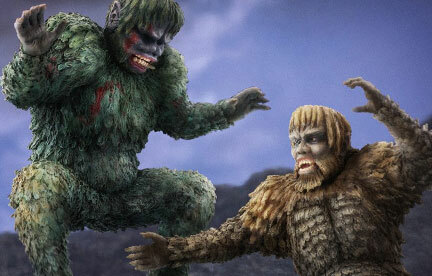 Those have already been released and were there just to accompany the King Caesar figure. 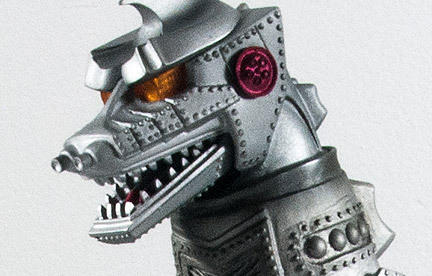 Stay tuned here at KaijuAddicts.com for more news on the new releases as it comes in.